QSV microcredit program is aimed at borrowers with little or NO collateral, credit, income, and resources. A QSV microloan enables Senegalese women who are capable and trained to pursue their dream, support the family as well as being transparent in business alongside being responsibility upholding to accountability in business. Most often all is needed is a small investment of $100-$500.00 to invest in the business of which she chooses. These tiny loans produce some big results: increases income, and the faith that they can take charge of their own life. In the beginning the idea “Fashion with purpose”came to mind to patronize our women in Senegal by purchasing the fabrics and then reselling the wares here in the states to fund programs and event back home in Senegal. QSV Micro Finance, Our Way! was born. Take a look! Women micro businesses are our business to support them! ” We work for micro credit because “Micro Finance, Our Way” works for women.” A total of 25 women including our volunteers have participated and thrived in their businesses making a difference in the lives of their families and community. 10 entrepreneurs now employ others. Thanks to our problem solutions strategies many women find confidence in strength in themselves. Currently, the World Bank reports that the under-5 mortality rate for children in the United States is 7 per 1,000 lives births. In Senegal, this is almost eight times higher, with 55 children out of 1,000 dying before they reach the age of five. While medical treatment is present in urban areas of Senegal, the demand continues to be unmet in these areas. Additionally, rural areas still fail to see adequate medical services provided to its citizens. As a result, women and children are exposed to deadly illnesses such as malaria, respiratory infections, AIDS, tuberculosis, typhoid, yellow fever, and schistosomiasis. 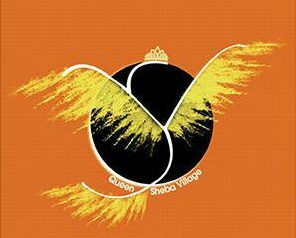 Seeking to educate Senegalese pouulations, Queen Sheba Village(QSV) plans to implement its Health and Hygiene Program. Within this program, women are exposed to information regarding how to prevent the spread of illnesses, how to maintain a healthy lifestyle, and how to meet the health needs of children. Even more importantly, the benefits from this program has grown exponentially as these women pass down health and wellness practice to thier children. One of the biggest tragedies in Senegal is that many of the diseases we see are preventable and treatable. Access to health education remains a major challenge and life or death can hinge on how soon a patient reaches a clinic or hospital which is very often many miles away from rural areas. An End to FGM (QSV’s Female Genital Mutilation Program) Spreading Awareness. In the past we conducted a meeting to share the harmful facts to women about this ancient practice and decided to implement a future program spreading awareness to this barbaric ritual. In a 3 month program, approximately 20 women will be exposed to information regarding FGM. These women will be given information via text and video, but most importantly, they will also have the opportunity to view documentaries and visit hospitals to see the first-hand effect of FGM. These participants will also be empowered to advocate for the rights of all women and girls in Senegal. Volunteers reach out to us very often. We are indeed taught by them so that we can serve communities better. Together we brainstorm ideas to bring solutions that produce better results. The experience has benefitted the “each one teach one concept”. Over 200 plus volunteers and loyal supporters have made a difference in serving the communities in Senegal. Back in the day, QSV has been providing donated school supplies pre-nonprofit status to women for their children. In 2013 we have been up and running shipping and fundraising for this ongoing project. We have served 5 vllages plus some nearby regions along the way conducting the Fill the backpack school supply events. We are proud to have aided 713 smiling boys and girls to inspire them to learn in classrooms which are often overcrowded and not adequate to learn. Nearly 600 parents have thanked us with appreciation. The children show a eagared willingness to attend school because they are better equiped with the essential tools needed to succeed. The QSV Organization has completed a series of projects that have been supervised, managed and financed by QSV members, donors and volunteers. Photos from some of our events are featured in the slideshow below and listed here. The QSV Organization has supervised, managed and financed a series of projects in Senegal over the years. In 2013 QSV organized the Mawloud Water Distribution event in Kaolack, Senegal. QSV Villagers served thousands of pilgrims with 3000 water packets and distributed QSV educational resource fliers. This was well received and a great start for us! We have a yearly organized Health/hygiene Event since 2011/2012 where QSV volunteers contributes Hygienic/health kits to women and children and distributes educational pamphlets. We hold a yearly Food Distribution Event where 200 hundred community individuals are served, fed and provided information about QSV’s ongoing services in urban areas near-by towns. Also yearly we organize a Distribution of School Supplies event in the villages like Kane Kane Diourbel, Senegal and remote areas where unfortunately roads are not up to standard in still hard to reach villages because roads are not paved. Our program benefited 713 school children with a basic full set of school supplies aiding their education in these underdeveloped region not mentioned on the map! QSV also provides a Clothing Collection DAY events starting in 2012 in Rusfique, Dakar where the QSV Team gathered and collected clothing donations from more than 100 families to distribute to poor women and children in city MbabaGuisse Konane. This started a yearly event to upgrade our giving. We don’t participate to receive nor distribute second hand clothing. Our citizens deserve merchandise brand new! We traveled back to our home of establishment In 2014 (photo below) to the Kaolack region where our QSV volunteer team organized and held a successful entitled event: Medical and School Distribution Supply. In addition we organized activities to raise funds and gather monetary donations and educated the public surrounding communities on whom we are and what services we provide and suggested they become involved to help improve their lives as well as others in the communities they reside. QSV Program Yearly Events and citizens whom benefitted: Water Distribution (15,000), Health & Hygiene kits (1,400) Fill the backpack School Supplies(713), Food Distribution(355) and Clothing Drives(700) . The services are charitable indeed impacting 18,168 lives!!!. QSV builds inspiration amongst the people teaching and encouraging each individual to get involved to eradicate mental blocks stemed from colonial past. It all starts with us one mind at a time! QSV Medical and School Supply Distribution Event Kaolack Medina Baye region. We feature here a 2014 interview with Mama Queen Sheba in Mbour, Senegal where she, the QSV Founder and CEO, speaks on the need for higher education, developmental relations for women, promoting aide for women’s families, and community empowerment. Here you can view clips from the QSV Food Distribution Event(2014) in Pikene(Dakar), Senegal where nearly 400 community individuals were served, fed at this one particular event and our hard working volunteers provided information about QSV ongoing services in various near-by communities. Since 2013 onward we gathered resources not limited to fundraising to feed ophans who often beg daily. Poor women experience difficulty making ends meet to feed thier children. This program is needed everyday. We gather funds to distribute meals to dire household in need. 355 familes including orphans have been served. We hope to increase these numbers in the near future. This video highlights one of the Distribution of School Supplies events, held in Village Kane Kane Diourbel, Senegal. Our YEARLY Programs benefits 500 school children with school supplies for aiding their education. Often times we bring water to thirsty pilgrims during festive holidays where the events during these seasons attract thousand of people from all over Senegal and often the world. We are honored to distribute and donate water to each and every soul until it runs out. the number is estimated to date is over 15,000 water packets have been distributed since we held this single program in 2014. QSV Clothing Collection and distribution DAY Rusfique, Dakar where the QSV Team gathered and collected clothing donations from more than 100 families to distribute to poor women and children in city MbabaGuisse Konane yearly and other rural areas in Senegal. The below video by Turning Studios, a collaborating association with QSV, highlights some of the work being done on the behalf of Talibe children. Donate to continue the projects of QSV, Thank you! Motivation Inspires! Leadership in our communities can have the biggest impact. There are many ways you can empower someone. The smallest of actions can make a difference.